How many calories in Shallots? See below, the Shallots calories for the different serving sizes. 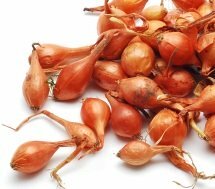 We provide you with the Shallots nutrition facts and the health benefits of Shallots to help you to lose weight and eat a healthy diet. Shallots are a variety of onion, with a small bulb and a mild sweet taste. Shallots are full of vitamin A. They are also a good source of vitamins B1, B3-B5, B6, B9 (folate), C, potassium, phosphorus and calcium. Shallots also contain flavonoids, which are believed to be useful in restricting the growth of cancer. Other Shallot benefits are thought to include helping against heart disease, lowering of blood pressure and acting as an anti-inflammatory. Below we have a calorie and detailed nutrition table for this vegetable. See our vegetable calories comparison chart to compare the calories in Shallots with the calories in other vegetables. Also, have a look how nutritious Shallots are in comparison to the nutrients in other vegetables. 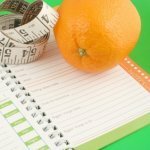 All of our calorie and nutrition data is provided by the US Department of Agriculture.